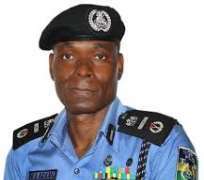 The Acting Inspector General of Police, IGP Mohammed Adamu, Saturday ordered a comprehensive and speedy investigation into circumstances surrounding the death of the late Ogar Jumbo, an Assistant Superintendent of the Nigerian Security and Civil Defence Corps (NSCDC). Adamu also enjoined the NSCDC and family of the deceased to nominate any medical doctor of their choice to witness the autopsy at the appropriate time and venue, assuring that everything humanly possible will be done to ensure that justice prevails in the case. The FPRO, Frank Mba, made this known in a statement made available to newsmen in Abuja. Mba added, “While condoling with the family, the Commandant General of the NSCDC, friends and professional colleagues of the deceased, the IGP reassures them that everything humanly possible will be done to ensure that justice prevails in the case. “He equally enjoins that the NSCDC along with the family of the deceased, may, for the purpose of transparency, nominate any medical doctor of their choice to witness the autopsy, at the appropriate time and venue. DAILY POST recalls that Jombo was allegedly beaten to death on Wednesday in the presence of his wife and children when he was stopped by some policemen over alleged violation of traffic law.